WHILE THE MOON’S CALL RIPS THROUGH THE SHIFTER COMMUNITY, A KILLER STALKS FOR PREY AMONGST THEM. TEMPERS RISE, LUST EXPLODES, AND THE CONSEQUENCES OF EITHER CAN PROVE TO BE DEADLY. Raven’s very private life explodes into the spotlight when she is nominated as a Region on the paranormal police force. The secrets of her past are slowly being exposed. With the safety of the pack paramount, she will do whatever is necessary to protect them. 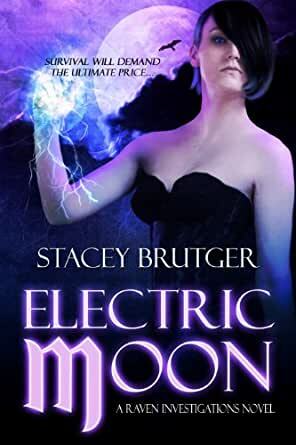 In return, they are teaching her how to navigate the shifter community and control the moon’s call where even the most innocent touch could destroy her carefully crafted world. As she juggles the demands of pack life and police work, the lines between duty and loyalty blur. Shifters are dying in mysterious ways. Raven suspects something sinister is destroying the pack from within. She must dig into the dark corners of the paranormal world, secrets that they would kill to protect, and find the reason behind the deaths before her pack becomes the next target. Don't get me wrong, Electric Moon is a great story. I wish I could have given it more than three stars. It has good world building, well-rounded characters and an interesting take on shifters. If the story hadn't been so good, I would have given it two stars due to all the editing mistakes. For this book (I don't recall this problem with the first one), the author decided to dispense with editing and rely solely upon spell-check. That is the only possible reason for the innumerable errors throughout where a word is spelled correctly but either isn't the correct tense, or is entirely the wrong word (ex: lesson in place of lessen). 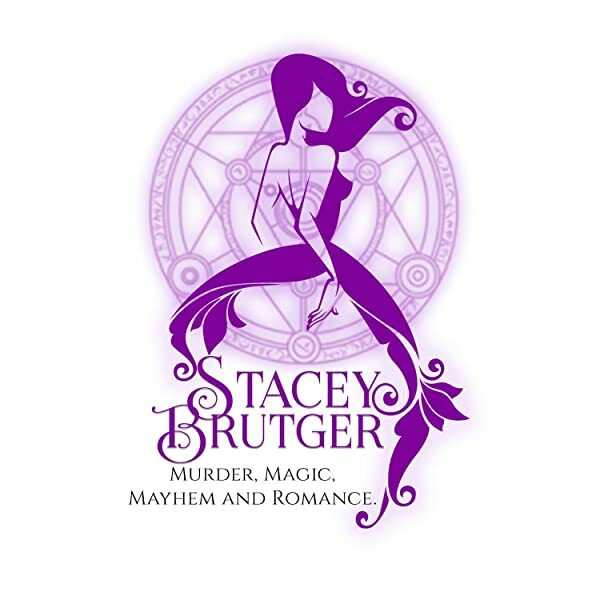 Please, Ms. Brutger, don't ruin your books by neglecting the all-important editing. I'll stick with you for the third book in your series because I like the story, but if it has the same massive problem I doubt I'd buy the fourth. Even traditionally published books can have editing errors here or there, but your book has them on almost every page. Interesting enough story line, decent world building, weak MC who isn't as alpha as the author claims and atrocious editing. Incorrect tenses, missing letters, the word "of" added to sentences it has no business being in and incorrect use of a title made up by the author. Every mistake yanked me out of the story, ruining the moment. Like the 1st reviewer, I sorta cyber stalked this book. Waiting oh so "patiently" till it came out. Just let me say this if you liked the 1st book, the second book does not disappoint! More of everything! Especially awesomeness. I do recommend this book for the action, characters, and the great story. Is it too soon to ask for book 3? This is a good book, but not a stand alone book. I like the story and it is a very original idea in the paranormal genre. The problem I had was that I basically had to go back and reread the first book in the series otherwise you stay confused throughout the first several chapter. Usually the author summarizes a few things for you to refresh your memory but this was not the case with this book. Since it had been over a year since I had read the first book, I had to go back and read it again. this book is different and its different in a great way! great for people who like a strong female main character . Shes a kick arse chickie with a kick arse power. I love the romance in this book and will be following this series very closely! What I will say it that it was hard to follow with the way it is written and can take a little while to follow what's going on. BUT keep at it because it IS worth reading. 5.0 out of 5 starsIntense. I can not get enough of this series. I had been anticipating this book coming out so much that I was a little worried I wouldn't enjoy it as much as I thought I would. However, that was not the case at all. This book is as good, if not better than the first one.